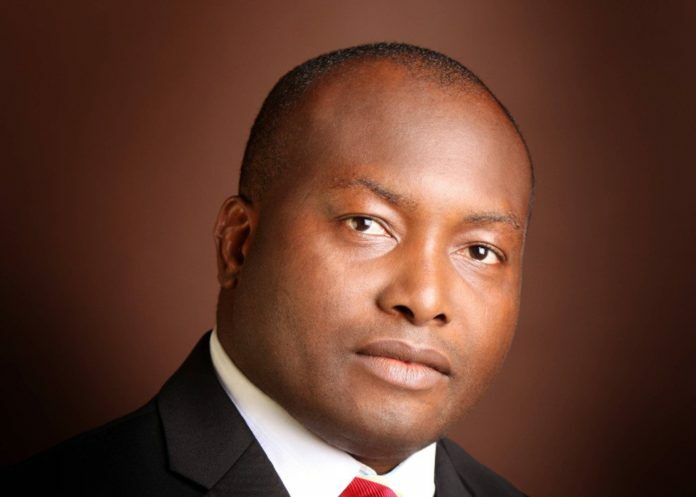 The Chief Executive Officer (CEO) of Capital Oil and Gas Limited, Dr Ifeanyi Ubah, has said that his senatorial ambition was borne out of his desire to take part in making laws that would, among other things, ensure infrastructural development of his senatorial zone and empowerment of the youths. 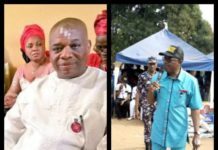 Ubah who was the former Chairman, Transformation Agenda of Nigeria (TAN) and governorship aspirant on the platform of the Peoples Democratic Party (PDP) in Anambra State in 2017, in this interview spoke on why he wants to run for the senatorial seat of Anambra South District under the platform of the All Progressives Grand Alliance (APGA). What exactly will be your mission in the Senate for Anambra South District? Simply, effective and people-oriented representation, a representation that would carry the people along, a representation that would solve the problems of Anambra South Senatorial zone. 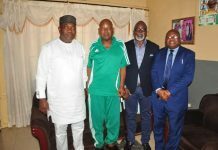 We have Ihiala Local Lovernment Area in Anambra South with rich mineral resources that must be tapped for development, we have Nnewi South Local Government Area with lots of solid mineral and green vegetation. Ekwusigo and Nnewi North share the commercial hub of auto spare parts in the country and have small medium and large scale industries and the problem is power or energy. No business or commercial venture can succeed without power and my mission is to express that urgent need to have a dry port in Nnewi market to move it to the next level. When you visit Orumba North, Orumba South and Aguata local government areas you see palm plantations and oil palm produce that can be accessed and assembled for export. The problem in Nigeria is that of monolithic economy hinged on petroleum alone. It was palm oil that the late Michael Okpala used in developing the old East Central State during the First Republic and today, where are the palm plantations? We can form irrigation cutting across the Uranshi River in Ihiala and linking other tributaries in Orumba North and South council areas, as well as Aguata. Our problem is that representations in the past did not look inward inside Anambra South to actually know what the people need, not what you want to do for them which has never impacted positively on the man in Amaesi, or in Osumuoghu or in Owerezukala or in Ihembosi or Okija. I will take part in making laws that would benefit our people, sponsor bills and motions for the country and Anambra South in particular. It is my vision that after four years of my representation in the Senate, Anambra South would be better off in terms of infrastructural development, youth empowerment, educational foundation and over all, socio-economic growth of my people. 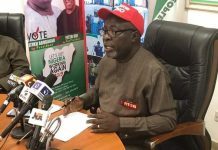 Why did you leave the PDP for APGA haven been so strong in PDP nationwide? 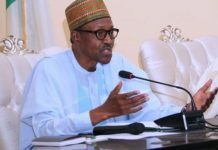 Yes, I was a member of the Peoples’ Democratic Party (PDP) during the last general election and our ambition was to return the then President Goodluck Jonathan for his second term in office, but God knows why that project went the way it did. 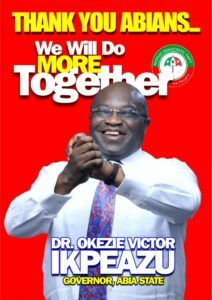 I remained in the PDP ever since as a loyal party member. I also aspired to fly the flag of the PDP in Anambra State during the last governorship election and you and I know the manner the party’s primary election was conducted. You can agree with me that the process leaved much to be desired going by the list of delegates and the near absence of internal democracy in the party during that exercise. And due to how it was conducted most of the aspirants were short-changed and most of us were not happy. The contest did not present a level playing ground for free and fair primaries. You will also remember that I tried to air my disenchantment about the emergence of the PDP governorship candidate and at the end, Anambra people choose their governor by returning Governor Willie Obiano for the second term under the platform of APGA. Anambra people indeed realized that the only political platform for Ndigbo is the All Progressives Grand Alliance (APGA) and not other political parties in Nigeria. That informed my decision to return to APGA. 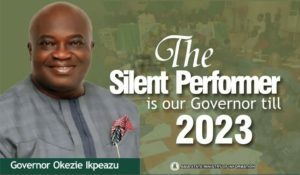 You know I had a stint with APGA when I first contested for the governorship position and later ran under Labour Party (LP), some people may view it as one not being stable, but that is a very wrong notion. I am back in APGA and what it means is that I have come back home for good and the essence is to ensure that the share of Ndigbo in Nigerian politics will not be lost. No governor or political party has gone into election and scored distinction even in a presidential election. It is only APGA that has been able to do that and I salute our brothers and sisters in Anambra for showing Ndigbo the way forward politically. But APGA is a party that is only in Anambra and people see it as a lone ranger party? Every other political party started from somewhere. 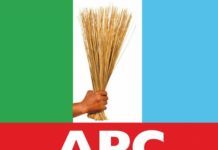 The APC that is in power today in Nigeria first started as what people called sectional party; that was Alliance for Democracy (AD). It grew up to form Action Congress of Nigeria (ACN) and they grew further to what is now APC. So, APGA is passing through the same process. APGA produced Anambra governor for eight years and now it is coasting into another eight years. 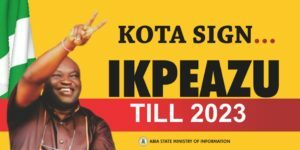 Also remember that even Rochas Okorocha in Imo State could not have made it as governor if not under the platform of APGA. We now have a Senator of the Federal Republic from APGA; we have members of the Federal House of Representatives from APGA. The party has won election in some parts of the North and other places. This is the spirit of our motto, “Be Your Brother’s Keeper”. With the success of our party today we have a project of reaching out to other states in the South-East in 2019 election and the result will be celebrated across the country. 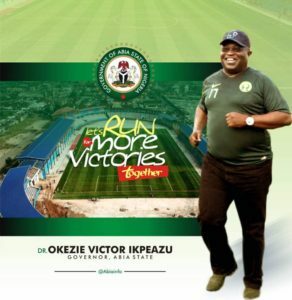 We are set to winning more states in the country and every aspirant in other states are not sleeping. They are working hard and by the special grace of God we will achieve it. Don’t you think that you are playing anti-party politics by what you are doing? I do not agree with you. If it is true the PDP or Labor Party would have been shouting by now. Politics is all about the people and good governance. The electorate is interested in populist governance and effective representation and that is all that matters. Besides Ndigbo as a people have resolved to be with APGA as their political party and that is the issue. At every time in Nigeria we always have three major political parties and today we also have three major political parties APGA, PDP and APC. Nigeria’s political party ideologies stand on a tripod of North, West and East and other ethnic groups would always align with one of them. 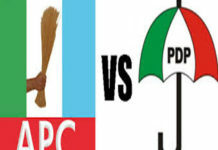 Had it been that APGA did not win in the last governorship election the political tripod will not gain balance. Now that it is balanced Nigerian politics can now move on. Our leaders like Nnamdi Azikiwe, Michael Okpala, Dim Chukwuemeka Odumegwu Ojukwu, Chuba Okadigbo, Nwafor Orizu, Sam Mbakwe, Akanu Ibiam did not make any mistake in appreciating the need for that tripod and we their followers cannot abandon the template they had put in place during the First and Second republics. But both the APC and PDP are in firm control of their states and one wonders the structure that APGA has to turn the table? What do you mean by structure? We are talking about the people, the masses and the electorate. Does it mean that everybody in those states is happy and comfortable with the government of APC or PDP? When you talk about structure, APGA is a political party and the structure itself. We have executives in the ward, local government and state levels and these executives have members and structures across the country. There are states in Nigeria where APC or PDP are in control, but the masses are not happy with their leadership. And when the masses are not happy, they vote the party out and elect another political party, which APGA is one of them. When APGA started nobody gave the party a chance, but today the story is different and you are going to witness more in this general election in Nigeria. The party, Labour Party, had their own challenges, but they produced elected political office holders, we also had the PPA and even UPP. So, the issue of being on the ground or being in firm control is really subjective and depends on the performance of the party in power and the acceptance by the masses. We had the NPN, NPP and UPN in the Second Republic, but political parties like the PRP had elected office holders in the country. That also means that they had structures on the ground and fellowship as it where. When the chips are down, you will certainly discover that APGA is a political party for the future and the future is now. In your Senatorial District, you have Nicholas Ukachukwu, Ikenna Amaechi, Ben Nwankwo, Majah Umeh and now Bianca Ojukwu as aspirants under APGA, are you not worried about the calibre of your opponents?